Tony obtained a Bachelor of Laws (Hons.) from the University of London in 1979 and completed the Postgraduate Certificate in Laws in 1980 from the University of Hong Kong. He qualified as Solicitor of the Supreme Court of HK in 1982 and as Solicitor of the Supreme Court of England and Wales in 1986. In 1988, he was admitted as a Barrister and Solicitor of the Supreme Court of the Australian Capital Territory. He became a China Appointed Attesting Officer in 1993. In 1995 he was admitted as a Legal Practitioner of the Supreme Court of New South Wales, Australia. He is also an Associate Member of the Chartered Institute of Arbitrators and a Notary Public of HK. 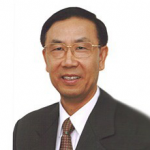 As to public service, Tony was an elected Member of the District Board of Shatin from 1985 to 2011. He was the Vice Chairman of the Provisional Regional Council before its dissolution on 31 December 1999. Tony was appointed as a HK District Advisor for New China News Agency during 1994-1997. He was also a Member of HK Town Planning Board from 2004-2010 and a Member of the 2012 Election Committee of the Chief Executive of HKSAR. Currently, Tony is a Committee Member of the National Committee of the Chinese People’s Political Consultative Conference, a Director of the China Overseas Friendship Association, the Secretary General of the Federation of HK Guangdong Community Organizations, the Honorary President of the HK Commercial & Industrial General Association Limited, a Committee Member of HK Housing Authority. Tony is the Founder and Senior Consultant of Tong Kan & Co. He is devoted to charitable activities in HK and China. He has launched various fund raising activities to help the flood victims in several districts in China and also funded various charitable education programs in China. He made donations to scholarships and subsidies to help the poor and outstanding students in Tsinghua University in Beijing and Zijin Secondary School of Guangdong Province and funded the construction of primary and secondary schools in deserted and underprivileged districts in remote areas in China. Tony was awarded the Silver Bauhinia Star (SBS) in 2016 for his long and distinguished public and community service, particularly his dedication to the Shatin community in the past three decades.